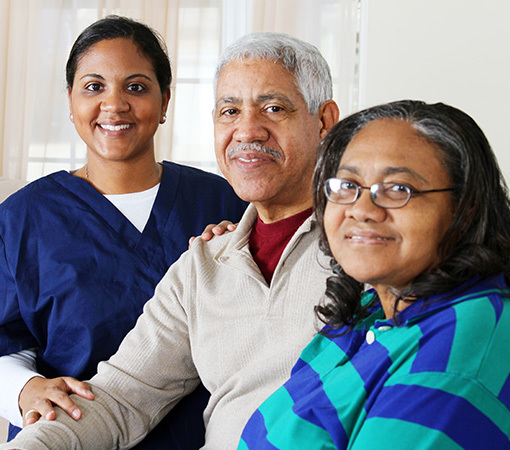 Home Health and Hospice Care, Inc. – 3HC – was founded in July 1981, as Mount Olive Home Health in Mount Olive, North Carolina. In the years since, the private, 501 (c)(3), not-for-profit health care company has grown into one of the largest of its kind in North Carolina and is recognized nationwide as a leader in the home care industry. In its early days, the company served clients with a professional staff of two, a part-time registered nurse and a part-time physical therapist. In 1984, it changed its name to Home Health and Hospice Care, Inc., and in 1989, established its corporate headquarters in Goldsboro where it now remains. The company quickly earned a reputation for quality and compassionate care. From a staff of three in 1981, the company currently employs almost 500 professionals in eight clinical offices, the Kitty Askins Hospice Center, the Crystal Coast Hospice House, and the corporate office. Today, 3HC continues to provide quality care in the comfort of the place you call home through an array of services, such as skilled nursing, physical therapy, occupational therapy, speech therapy, social work and home health nursing aides. 3HC is accredited by CHAP (Community Health Accreditation Partner), a designation shared by only the best providers, in addition to being Medicare and Medicaid certified. Provide genuine empathy, honesty and openness. Create customer solutions through transformative initiatives. Maintain accountability to the highest standards. To enhance the lives of families in the communities we serve through innovative care delivered by an inspired team. This notice also will tell you about your rights and our duties with respect to medical information about you. In addition, it will tell you how to contact us if you believe we have violated your privacy rights.